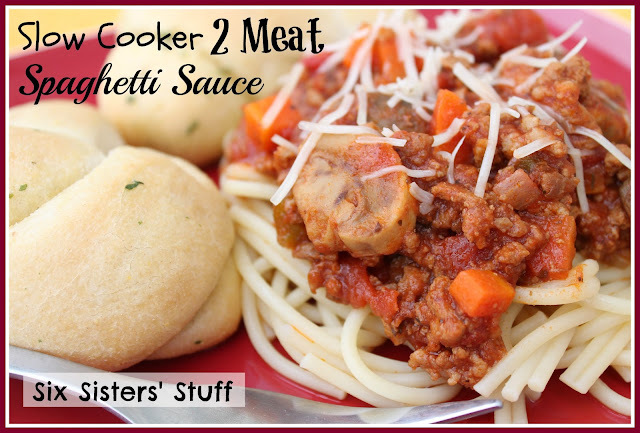 We love our slow cookers, and this spaghetti sauce is sure to please everyone. 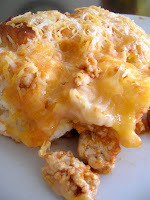 We have been tweaking this recipe for a while until we got it just the way we want it. This spaghetti sauce is loaded with vegetables and our kids have no idea! Cook ground beef and sausage and onion in frying pan. Cook until meat is no longer pink. Put meat in the slow cooker. Add the remaining ingredients. Cook on high for 5 to 6 hours or on low for 8 to 10 hours. Serve over cooked spaghetti noodles. Stuck on You was established over 17 years ago by a Mom in the back room of her house – and now it is an international success story! Stuck on You is the original personalized label company- they create their own original designs and have an extensive collection ? 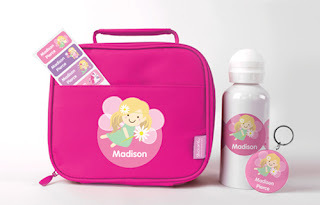 from personalized labels and tags to gorgeous gifts, including name puzzles, drink bottles, clothing, stationery, lunch boxes and more. All items are dispatched within 4 working days. Use promo code SIXFREE for free shipping on all orders, 1 week only! Offer valid 9th-16th April 2013. Not to be used in conjunction with any other offer. eat dinner with your family at 6 pm (your time zone). If possible, we would love to have you take a picture and share it on Instagram, leave us a comment on our Facebook page, or tweet about it and tag us in it (@SixSistersStuff). Use the hashtags #DinnerChallenge and #SixSistersStuff to help spread the word! 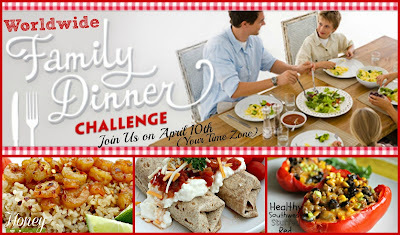 Register HERE for the Worldwide Dinner Challenge! Hi there, LOVE your site! Your banana cake is AMAZING. Can you please tell me what chili sauce is? Thank you!! Chili sauce is found on the ketchup aisle and it's basically ketchup with a kick. We added it to give the spaghetti sauce a little more taste. You could skip it if you can't find it in your store. It comes in major name brands and also store brands. The store brands taste great and tend to be cheaper. Thank you so much for your reply! I'm going to make a huge batch to separate up and freeze - love the crock (mine is huge, was my gram's no idea how old!) and I love easy dinners! 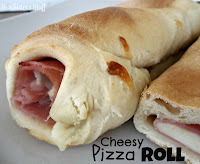 What a great idea and great recipe. I ways love the pops of carrot in a red sauce. Sauce sounds wonderful! Will give it a try. Do you know if this recipe ccan go through the canning process? Hank you for sharing! Love your blog. We have never canned it. You could compare the recipe to some spaghetti sauce recipes that are bottled and see how closely they compare. Let us know!! This looks like a wonderful recipe. Do you know if it can be frozen? Yes, we have some spaghetti sauce in the freezer right now! This is our new favorite spaghetti! I will never buy another jar of sauce again because this puts any other spaghetti to shame! I've made my own chili sauce whenever we have this because I always forget to buy it. I prepped everything and then froze it before cooking in the crock pot. Just defrost and pop in the crock pot. Dinner is ready! !